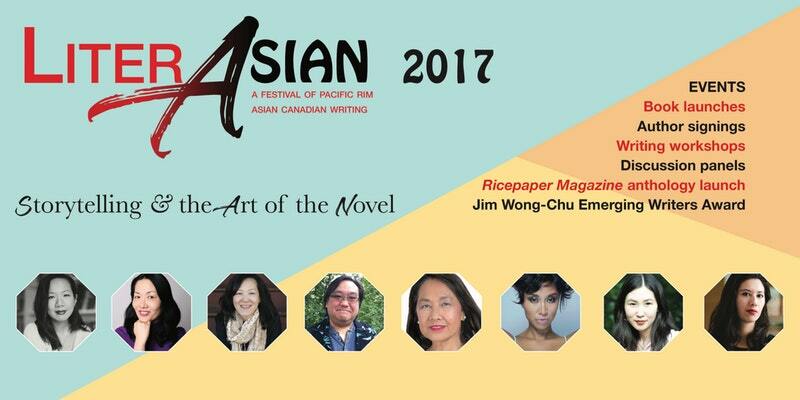 LiterASIAN 2017 is just around the corner, and it brings a group of established and upcoming Asian Canadian writers together in Vancouver for four days of literary events. In addition to the launch of Currents, our new anthology, we are pleased to present a series of interviews with the festival’s featured writers, to share their thoughts on writing, identity, and their experiences so far. September 21: Book Launches (1 of 2). FREE EVENT. September 23 (Afternoon): Book Launches (2 of 2). FREE EVENT.